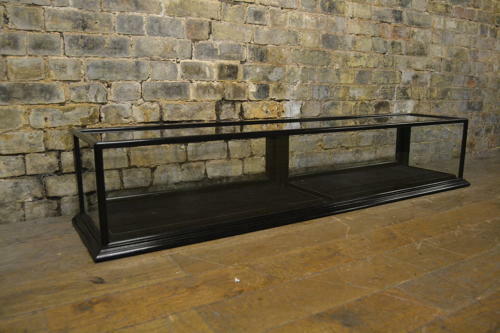 We have this lovely counter top display cabinet available now - in a black polished wood, this counter top would be perfect in a range of decors and shop settings, as well as museums and home displays. It has black trays to store and display jewellery, smalls, stationary, watches, medals, and more. It has two doors to access the display at the back.